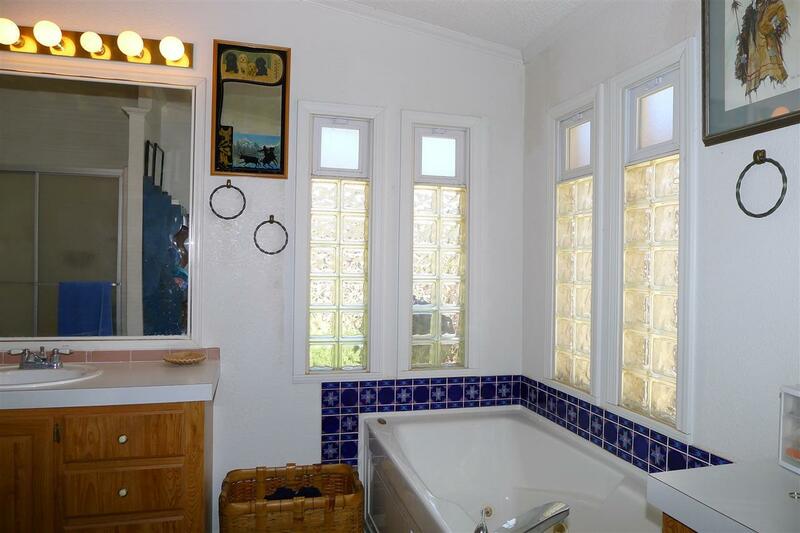 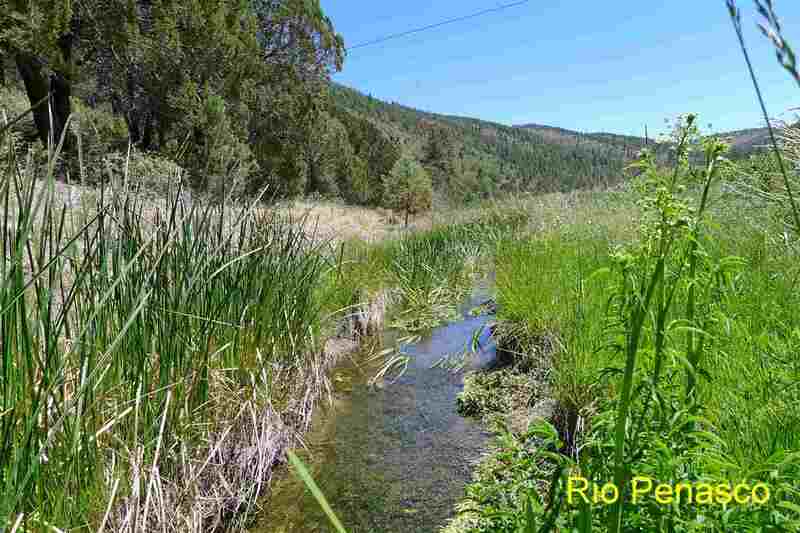 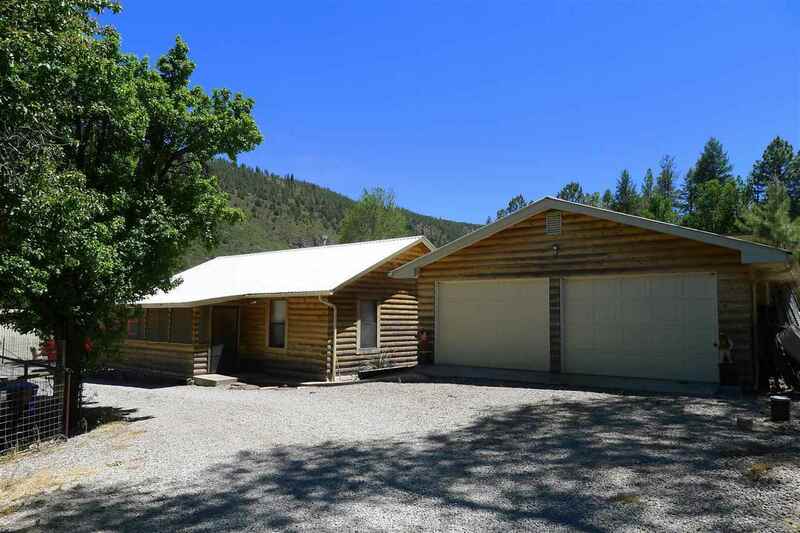 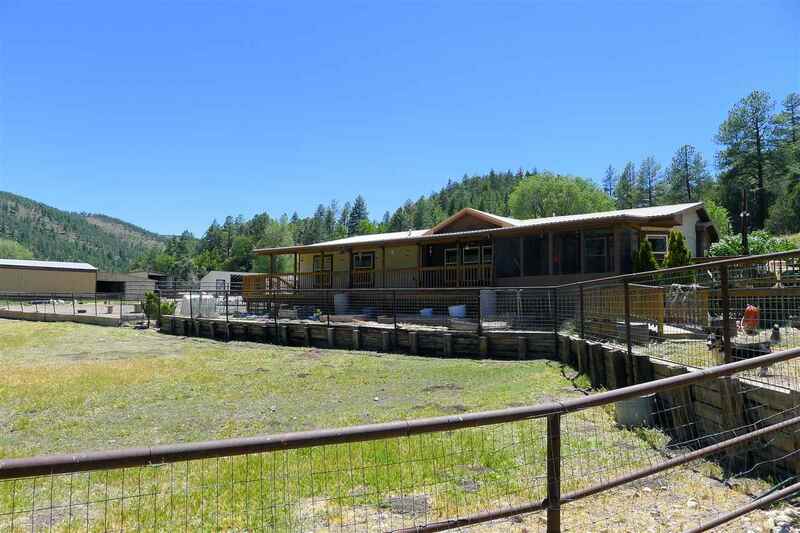 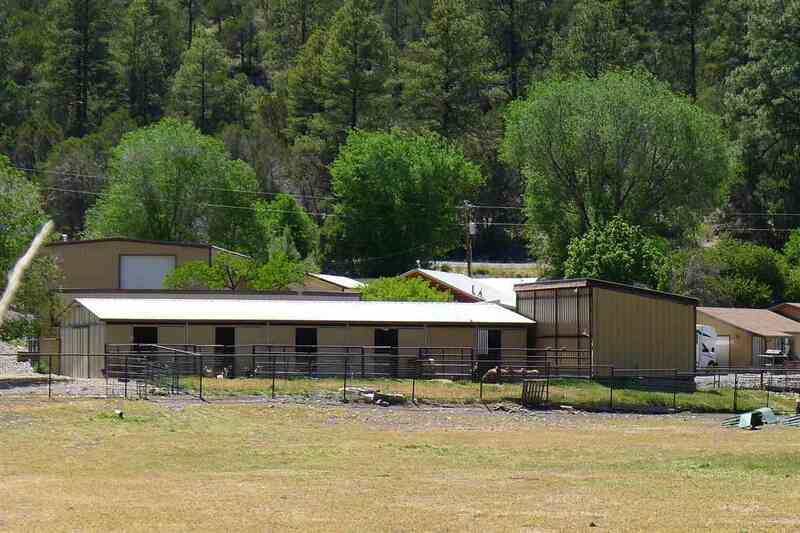 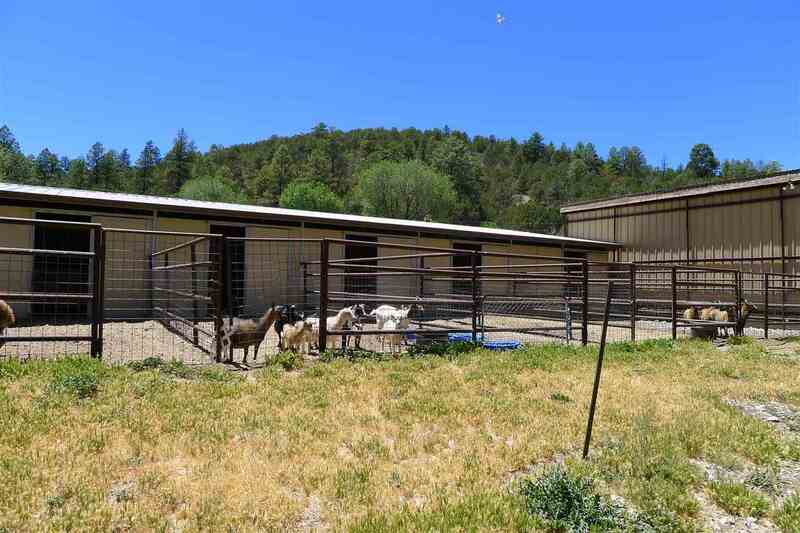 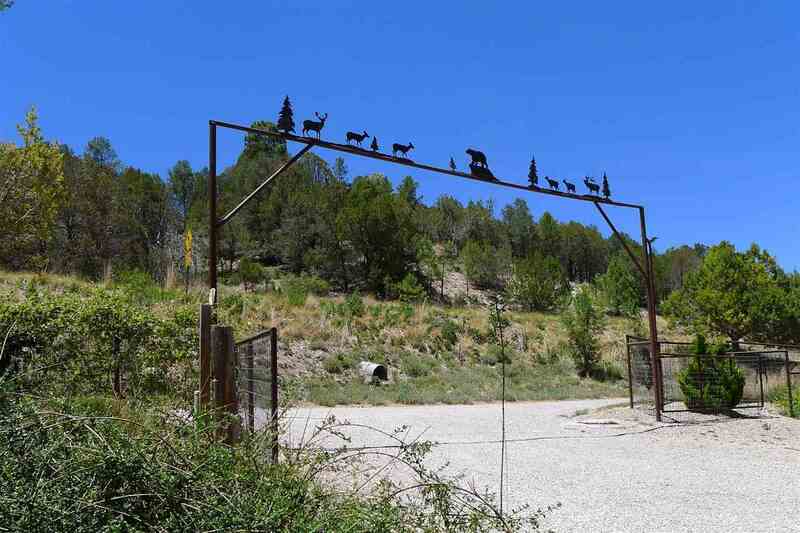 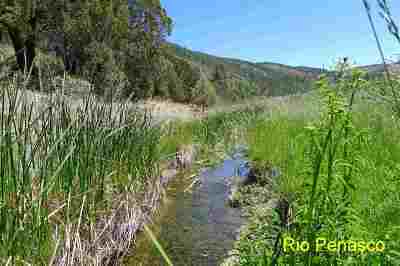 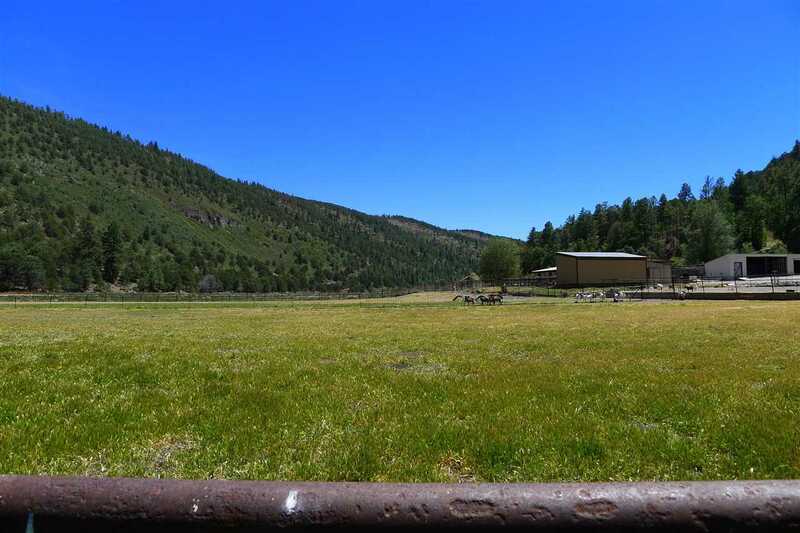 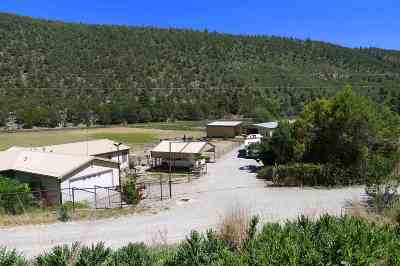 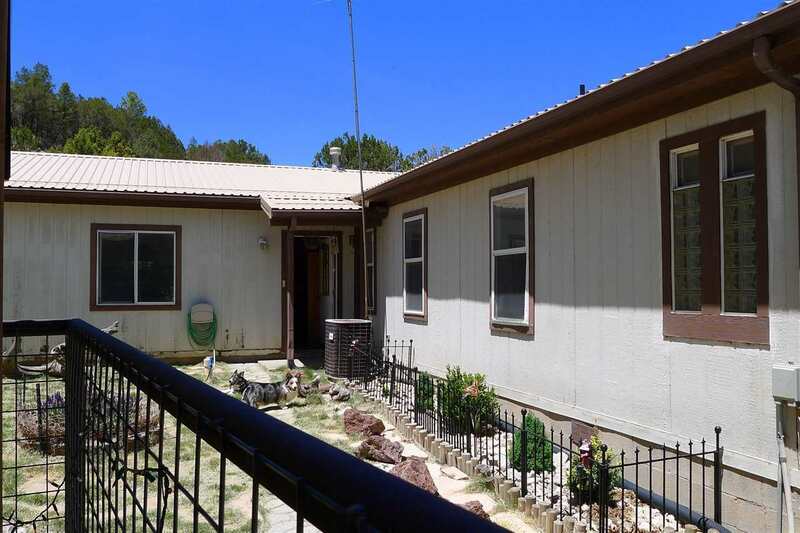 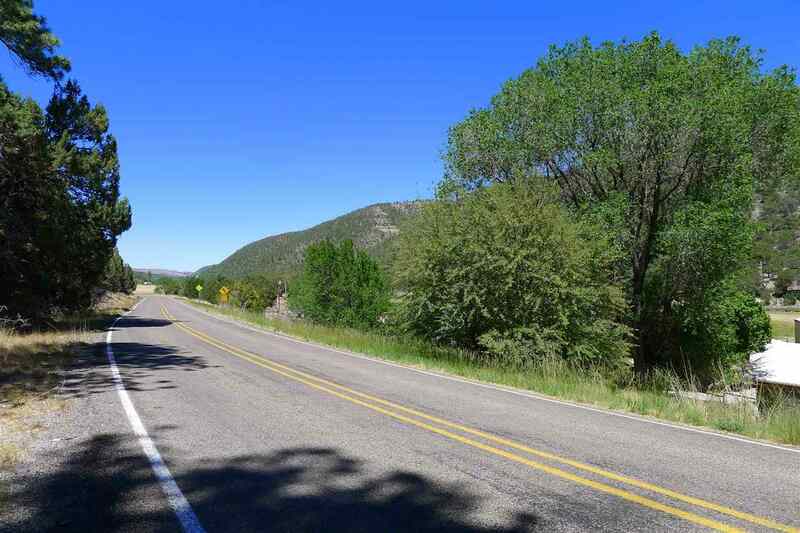 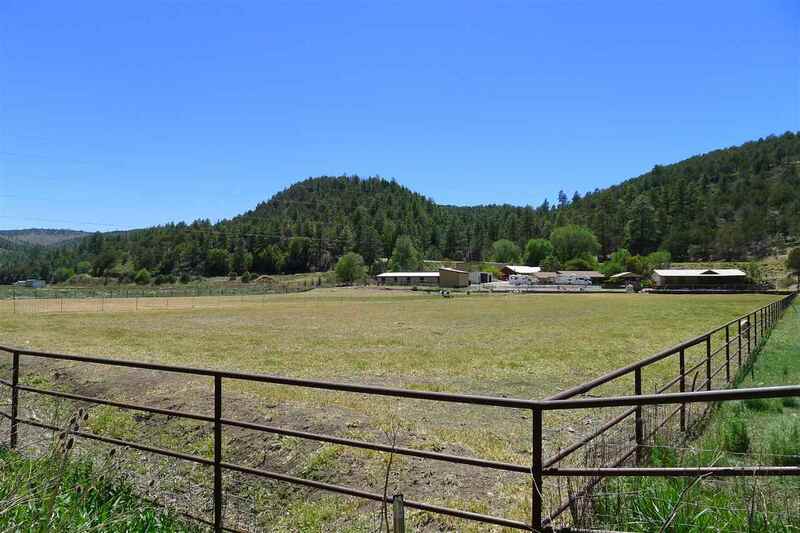 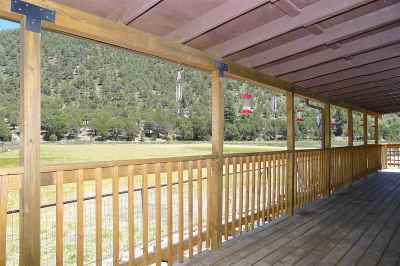 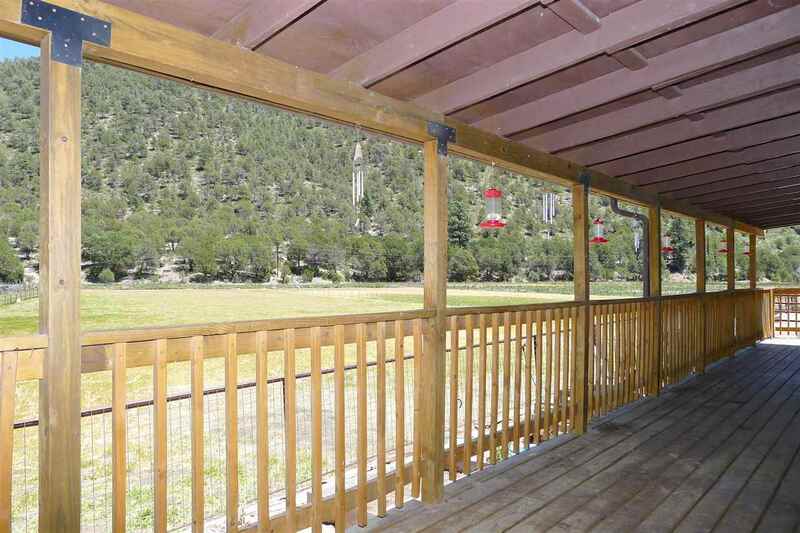 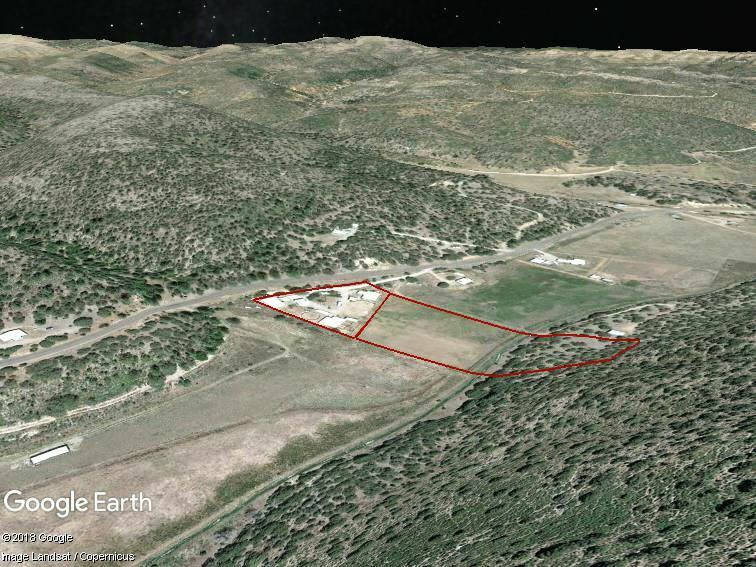 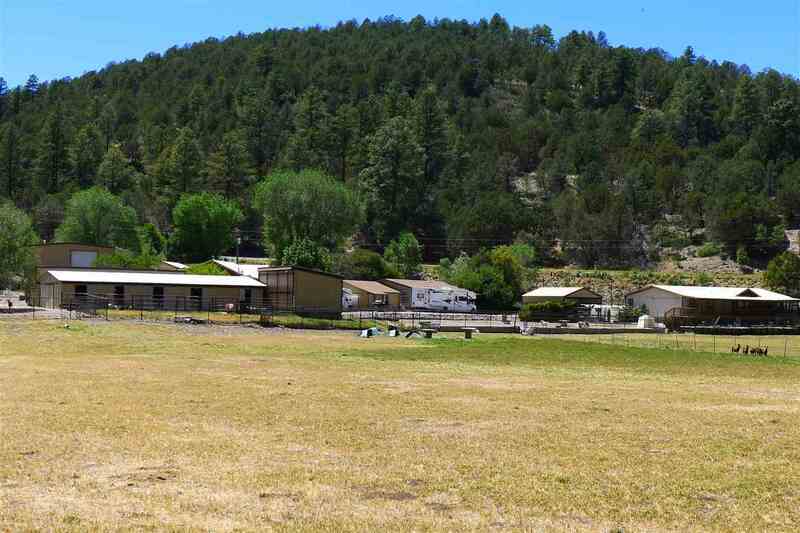 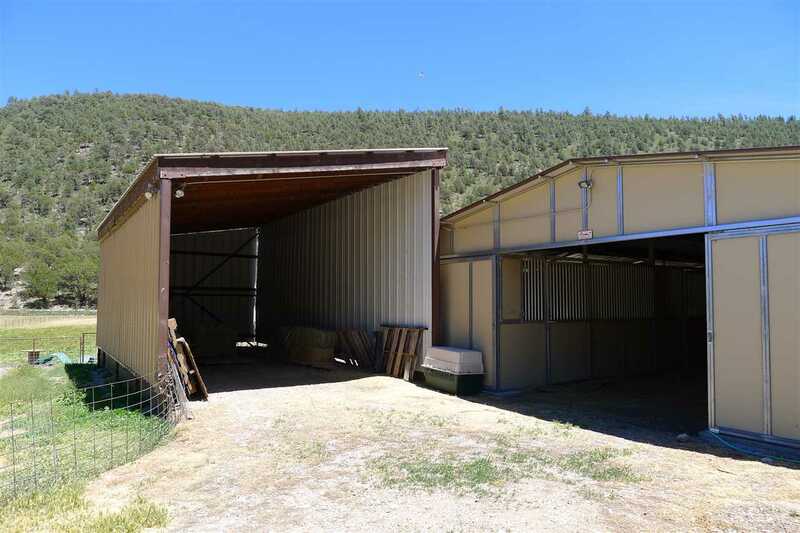 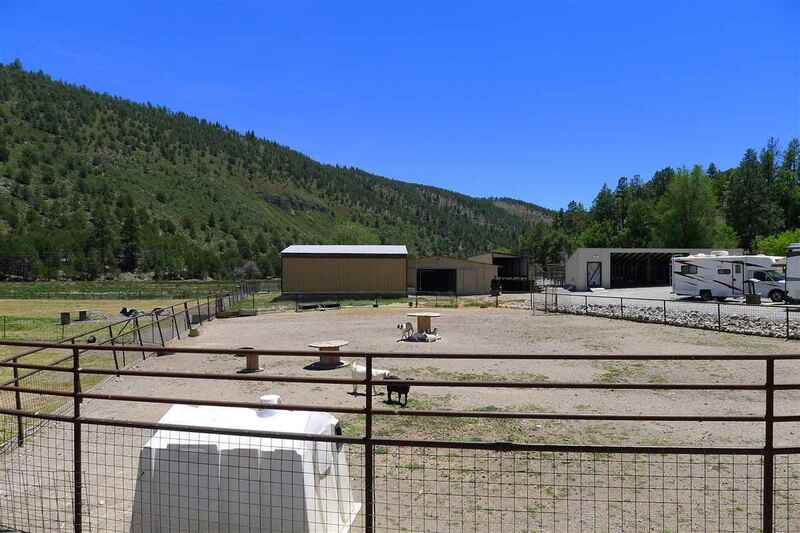 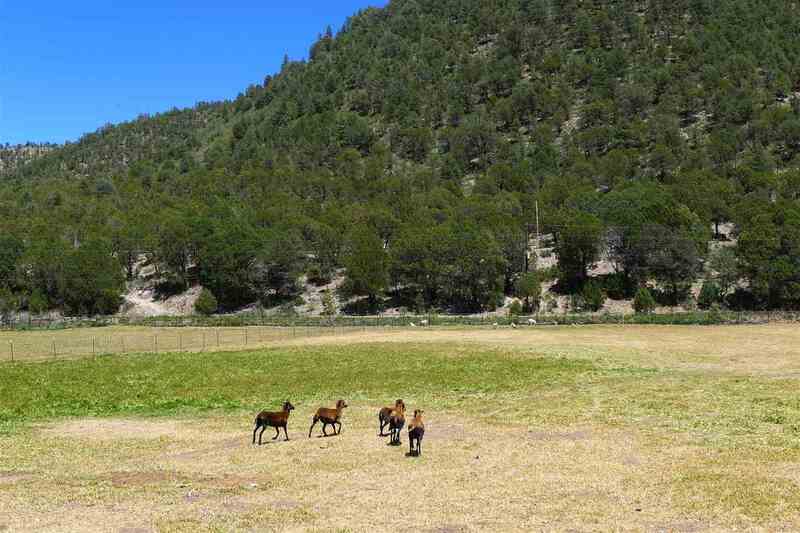 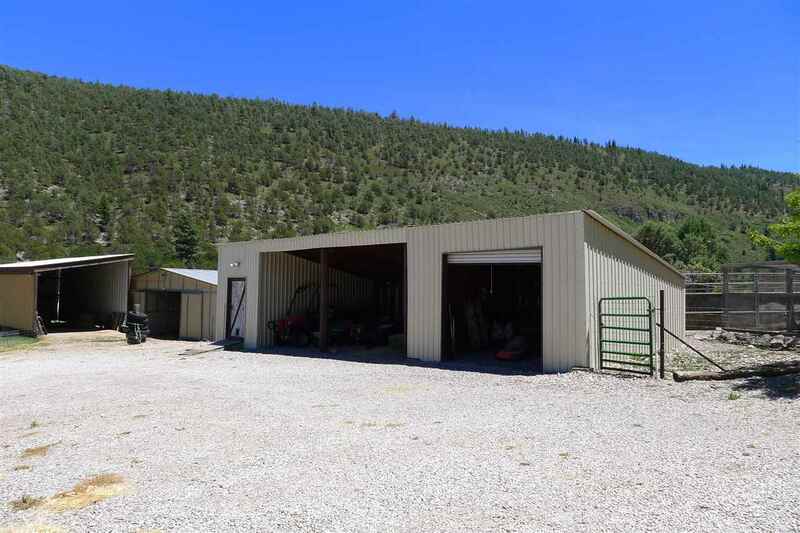 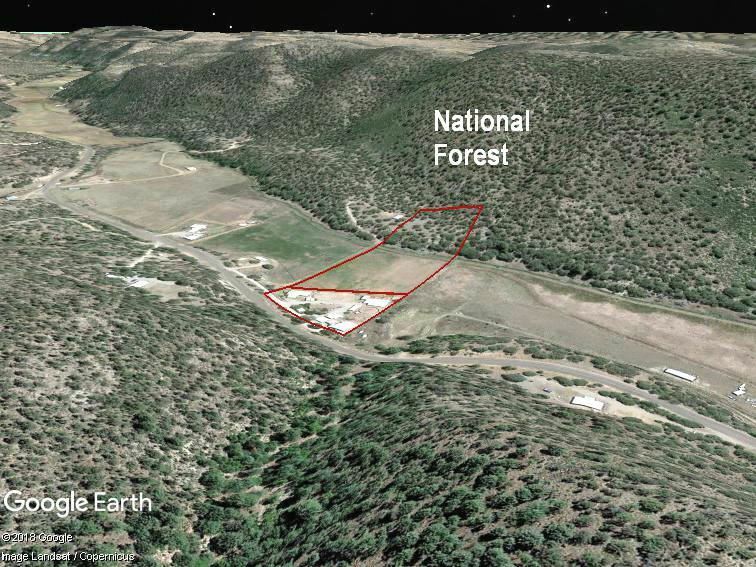 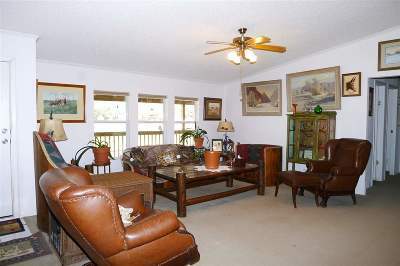 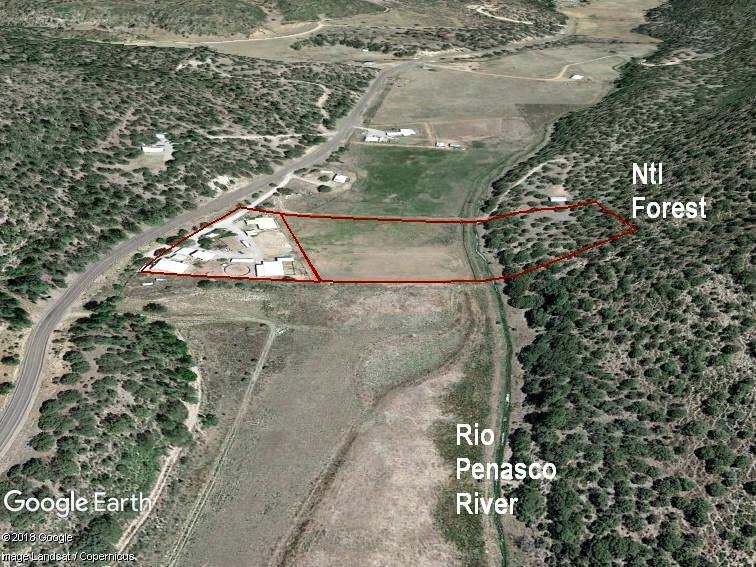 Work & play at 7,500' elevation, mountain property on the Rio Penasco offers multiple homes, barns & stalls, warehouse, water. 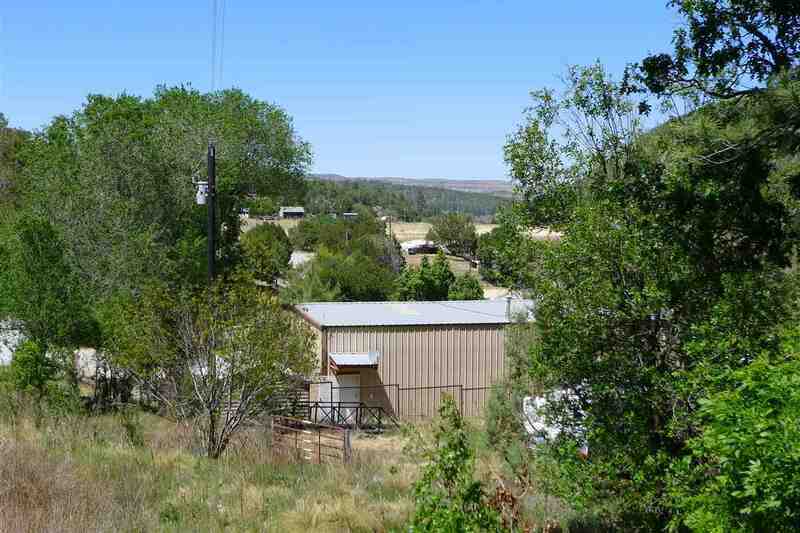 Three single level homes with garages. 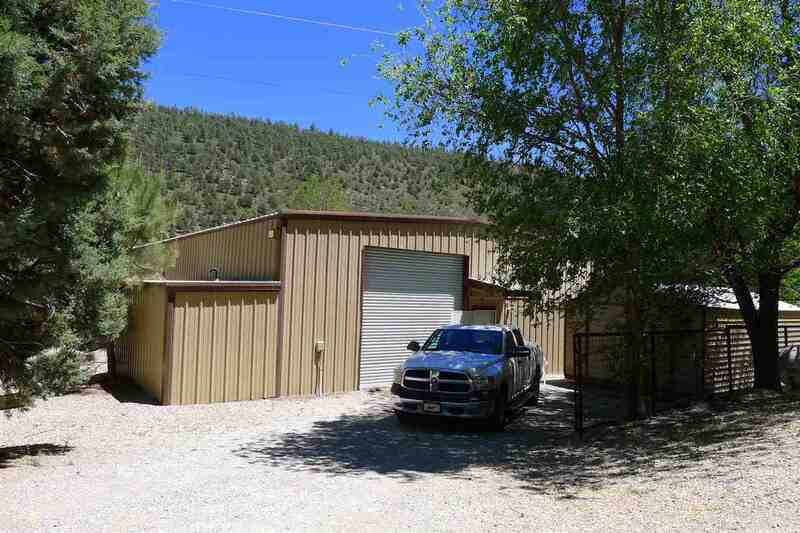 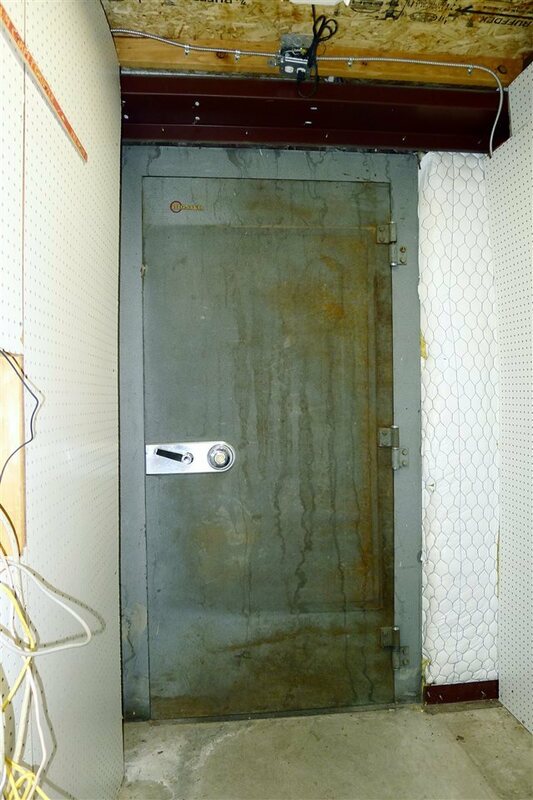 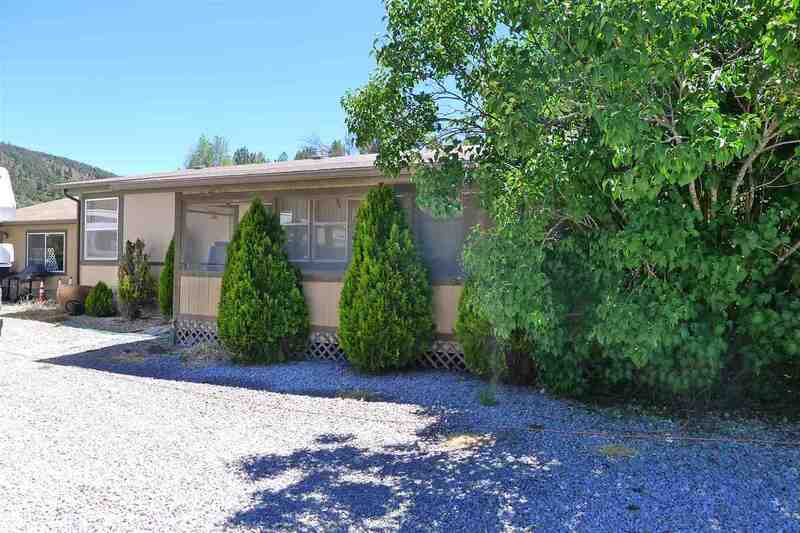 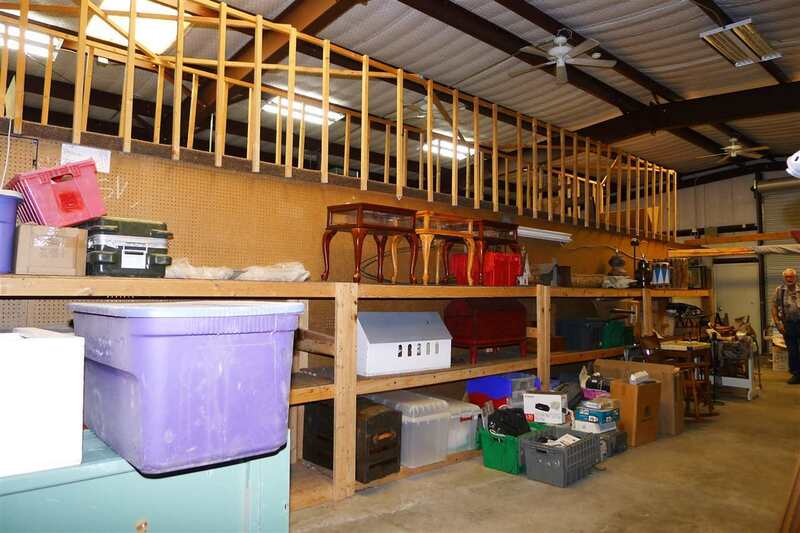 60'x40' heated warehouse has 20'ceilings, walk-in vault, office, bath. 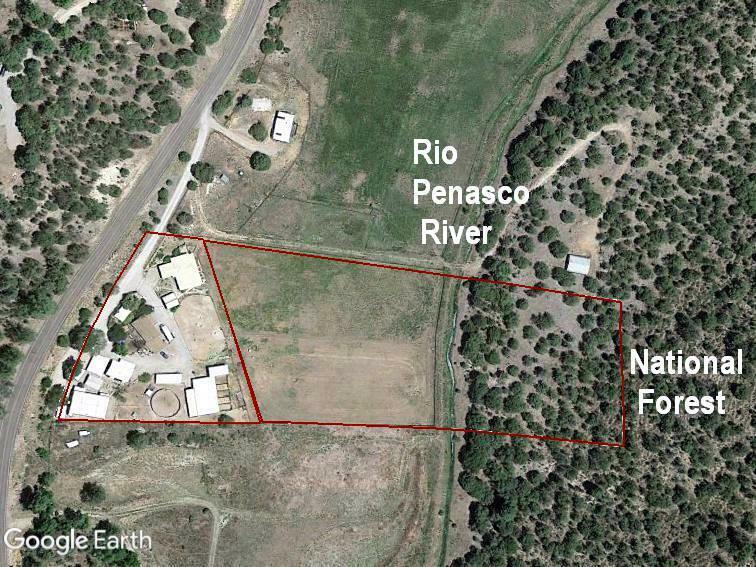 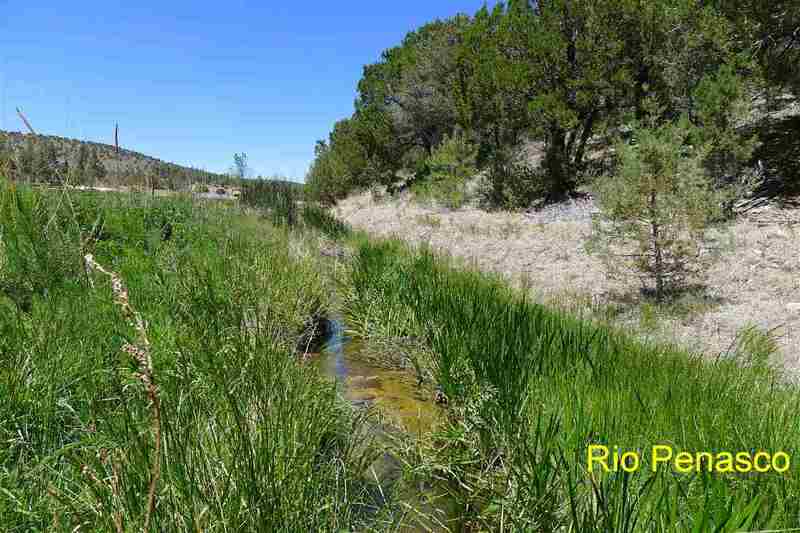 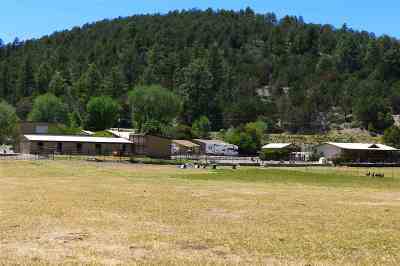 4 1/2 Acre ft of water from Penasco, irrigation system was installed by Corps of Engineers. 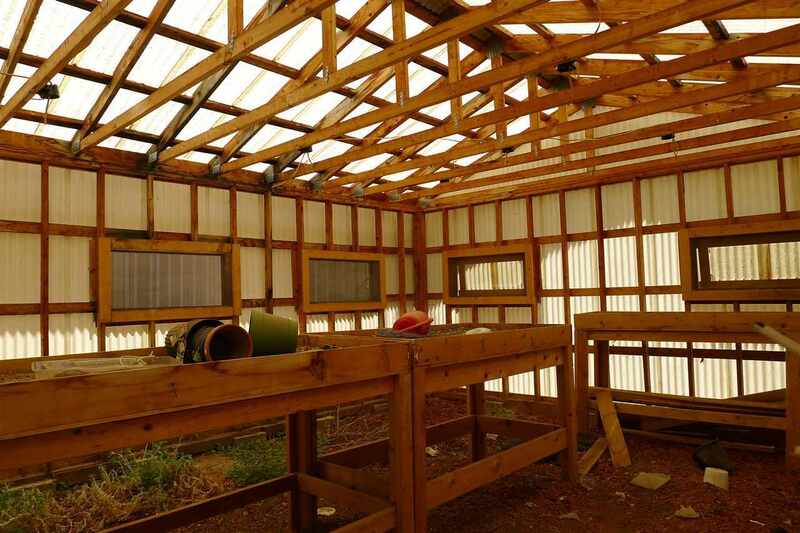 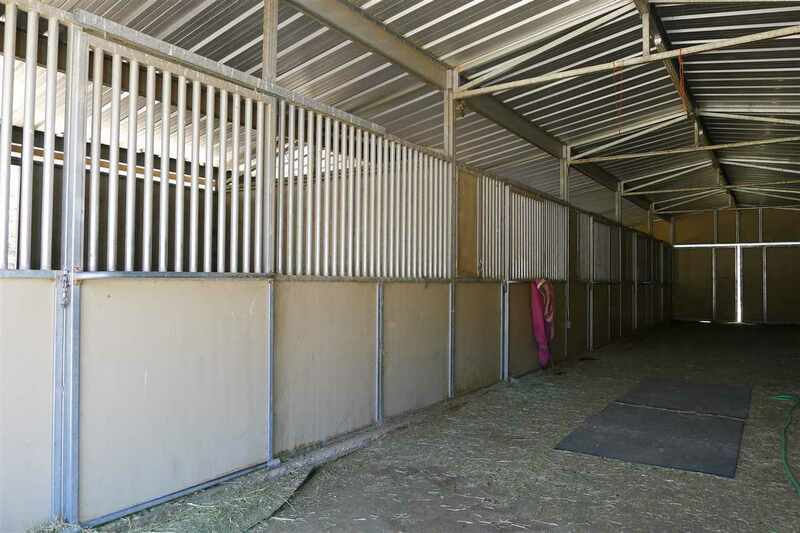 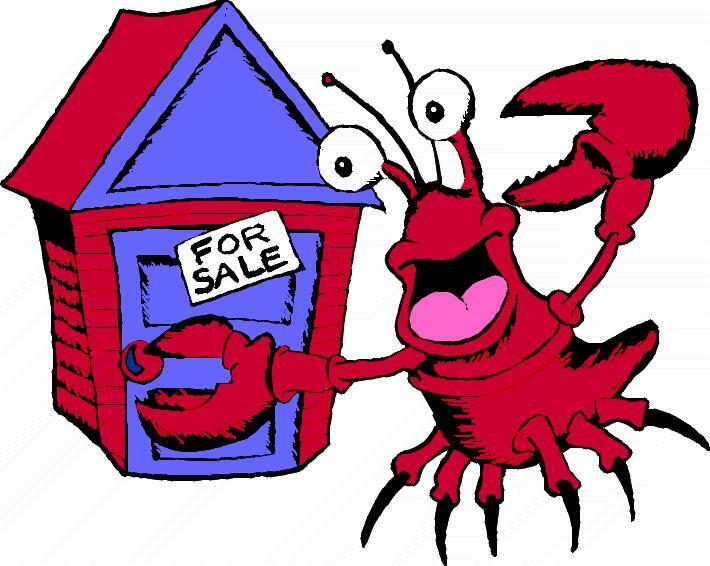 Equipment sheds, RV shed, hay barn, 9 stall barn, corrals, round pen, green house. 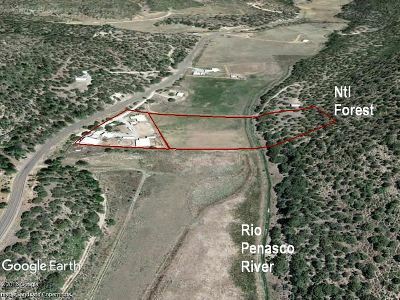 Water storage. 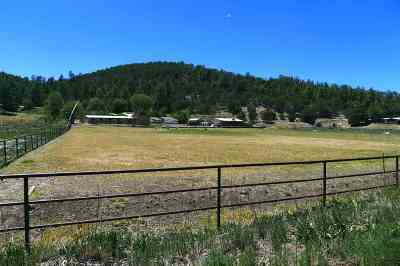 Flats entirely pipe fenced, cross fenced. 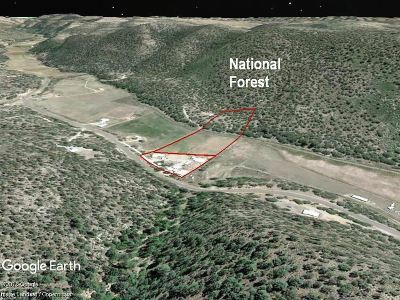 Borders Ntl Forest on mountain side.